How many of you have been touched by Larry’s teaching over the years at Cap City? I know many of you have. I believe people who have been faithfully teaching the Word like Larry should be honored. This Sunday (May 31st) he’s going to be teaching his last message to Capital City Grace as their move to Portland approaches. I hope you’ll be there this Sunday at 11am to hear Larry’s message. Come with your heart open to what God wants to speak to you through Larry’s teaching. 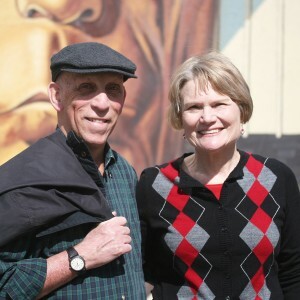 As many of you know Larry and Sylvia will be moving to Portland, Oregon in June. We want to celebrate their faithfulness to the ministry of Capital City Grace and the lives they’ve touched during their 30 plus years in Columbus. We hope you’ll make it to this special worship service to say goodbye and to celebrate the Totzke’s next chapter in life – 11am at Hyatt Place Hotel.